It’s been about six years since San Diego’s Epic Sciences was founded to commercialize technology that Peter Kuhn and others developed at The Scripps Research Institute for detecting and analyzing circulating tumor cells. In more recent years, the company has moved rapidly to create an entirely new business based on its diagnostic technology. Epic Sciences says it has established about 30 partnerships and research collaborations with both pharmaceutical companies and academic scientists, and its technology is being used to analyze many types of cancer in thousands of patients. Over the past year, the company’s workforce has doubled, from 30 to about 60 employees. Things must be going well, because today Epic Sciences says it has raised $30 million in Series C funding. Three existing investors—Domain Associates, Roche Venture Fund, and Pfizer Venture Investments—have returned to increase the size of their bet, along with new investors that include RusnanoMedInvest (RMI) and Arcus Ventures. “It’s a validation by a very discerning set of investors in technology with the sensitivity to identify very rare cancer cells from a tube of blood,” says Murali Prahalad, Epic Sciences CEO. In a separate statement, Epic Sciences named Greg Lucier, the former chairman and CEO of Carlsbad, CA-based Life Technologies, as a new director and board chairman. Lucier oversaw the $15.4 billion sale of Life Technologies to Thermo Fisher Scientific earlier this year, and is expected to help guide the company’s commercialization strategy. Epic Sciences says its technology is sufficiently sensitive to screen the size, shape, and staining pattern of every nucleated cell in a blood sample that contains about 30 million nucleated cells. The company says this “no cell behind” approach is accurate enough to pinpoint the five circulating tumor cells (CTCs) in such a sample. The process uses antibodies that fluoresce in the presence of keratins, filament-forming proteins found in all CTCs, combined with high-definition imaging to help analyze the fluorescing cells. To capture and analyze all types of CTCs, the company says it uses more than 90 parameters, including molecular assays that differentiate the type of cancer cells based on protein expression or genomic markers, and high-performance computing to help analyze and manage the data. “What we have found at Epic is that cancer is a very heterogeneous disease, and so are the CTCs,” Prahalad says. 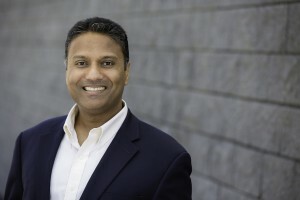 Because the technology is so comprehensive, and because it can be used to analyze blood samples relatively quickly, Prahalad says there is a huge opportunity to use Epic’s technology in clinical trials to tell early on whether a particular cancer drug is working, or if the CTCs are showing signs of drug resistance. As a result, the company says its technology could be used to monitor cancer treatments, providing “actionable” information at every clinical decision point. For its clinical and pharma partners, Epic says it provides a report that enumerates and analyzes CTCs, providing quantitative protein biomarker analysis and single-cell genomic analysis by next generation sequencing or fluorescent in situ hybridization. The company’s commercialization plan calls for establishing federally-certified clinical laboratories to provide independent testing services, including companion diagnostics that would be used to better match cancer tests to disease subtypes. Prahalad plans to use the latest round of financing to expand development of Epic’s labs in the United States. 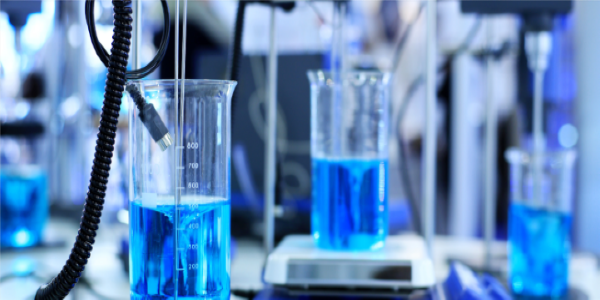 Earlier this year, Epic Sciences said it will collaborate with Laboratory Corporation of America Holdings (NYSE: LH) to support European clinical trials by expediting sample processing. LabCorp’s central laboratory in Mechelen, Belgium, would quickly process samples for Epic’s clinical trial partners and research customers and send them to Epic’s San Diego laboratory for CTC quantification and analysis. Epic also plans to use the proceeds to automate its technology and carry out additional clinical studies needed to seek regulatory approval for a medical device.